We, the representatives of Ukraine’s major investment banks and economic think tanks, have always refrained from engaging in political statements while serving the needs of our foreign clients. We have aimed to remain professional and provide unbiased coverage of events in Ukraine, and we are grateful to our clients and partners for many years of positive cooperation. Today, the territorial integrity and sovereign future of Ukraine is under serious threat, and we are seeking your help. We ask that you use all the means at your disposal to promote a peaceful resolution to the conflict between Ukraine and Russia. Despite assurances from Russia that it is not interfering in Ukraine’s internal affairs, we observe that Russian armed forces continue to engage in active and illegal military maneuvers on the territory of Ukraine. 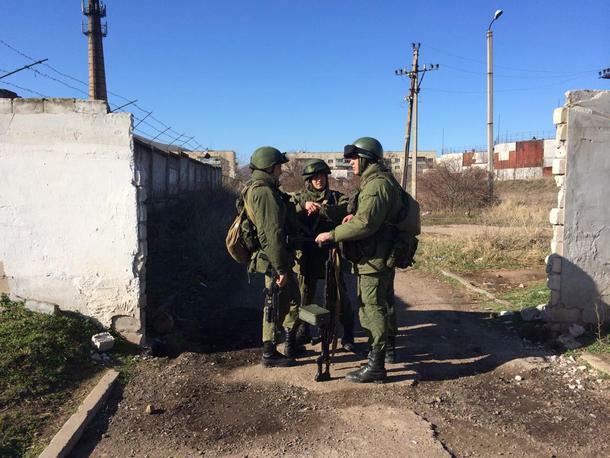 Local administrative buildings and airports in Crimea have been seized. Armed units are also attacking Ukrainian military forces, which are showing considerable restraint while awaiting a negotiated, peaceful settlement. – The situation in Ukraine is no longer extraordinary. The domestic political conflict has been resolved, presidential elections have been scheduled, and a new government has been appointed. – The new government of Ukraine is entirely legitimate. 328 Members of Parliament – 73% of all MPs and above the 300-vote constitutional super-majority threshold – voted to remove ex-President Viktor Yanukovych from office. A total of 371 Members of Parliament (82% of all MPs) voted to approve Arseniy Yatseniuk as Ukraine’s new Prime Minister. EU member states, the United States and Canada have all recognized the legitimacy of the new government. – In order to avoid an all-out military conflict and the loss of human lives, the Ukrainian authorities have purposely refrained from engaging in military action in Crimea. This exposes the Russian fabrication that its citizens residing in Ukraine are in danger. Despite Russia’s full-fledged military intervention, Ukraine has not blocked international borders and people are free to travel to and from Russia. – On the basis of the above points, the threat to the lives of Russian citizens and citizens of other countries stems solely from the presence and actions of Russian military units currently located on the sovereign territory of Ukraine. We believe that a “normalization of the social and political situation” in Ukraine is not possible while Russia continues to interfere, militarily and otherwise, in Ukraine’s internal affairs. We appeal to Western governments, including the U.S. and the UK, guarantors of Ukraine’s territorial integrity under the Budapest Memorandum of 1994, to exercise diplomatic and economic pressure on Russia, whose actions pose a real and significant threat not only to Ukraine’s sovereignty, but also to peace in all of Europe. The successful resolution of a protracted domestic political crisis and the formation of the new government opens new opportunities for Ukraine. We welcome the efforts of our partner-countries that are aimed at strengthening democratic values and establishing effective economic policies in Ukraine. We commit to provide unbiased coverage of events in Ukraine and to constructively criticize the policies of the new government. We appeal to our clients, partners, foreign competitors, and all other stakeholders to deliver our message to your respective governments. We count on your support and on the solidarity of investment banks and economic think-tanks in all countries, especially in Russia. Heroes of Maidan: Olesya (the medic) is released from hospital!